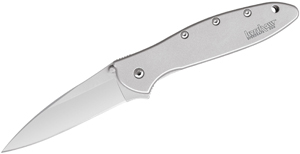 Buck’s latest 2014 offerings include a couple of really great folders – the Mini SpitFire and the Rush. Knifecenter offers these two sure-to-be winners in several colors so take your pick! The Mini-SpitFire is the not-so baby -brother to the classic Buck SpitFire. 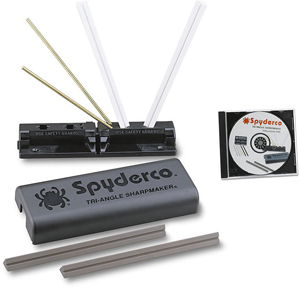 This more compact version features a 2 3/4 inch 420C Steel blade (1/2 inch smaller than the full-size Spitfire) and light-weight anodized aluminum handles. The blade is super sharp and the thumb hole allows for very easy one-hand opening (the thumb hole on the new minis are actually a bit wider than the full size SpitFire allowing for even easier opening). The Mini SpitFire’s lockback blade is also very secure and easy to engage. These very affordable 100% USA made folders are available at KnifeCenter.com – get’em while they last! The Buck Rush is appropriately named – if you’re in a rush and need super-fast blade deployment, the Buck Rush is sure to fit the bill. Its lightening-fast assist mechanism provides for one of the quickest and smoothest deployments I’ve seen. I really like the added safety latch that sits directly below the blade flipper – this should prevent any accidental openings while in your pocket. 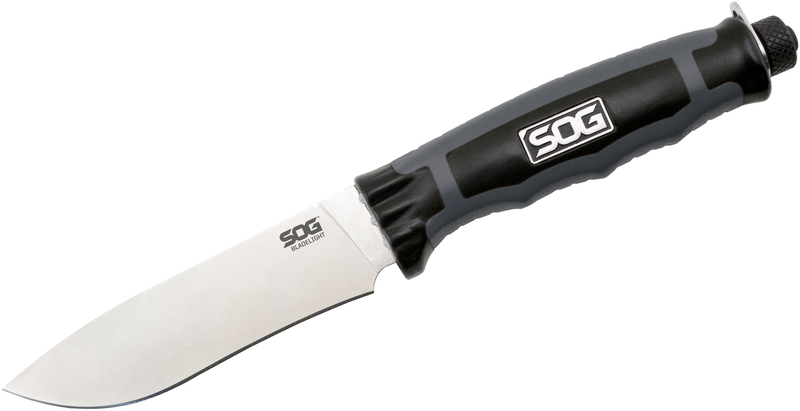 The skeletonized aluminum handles, thin profile,secure belt clip, and ambidextrous thumb studs make this a very easy to carry pocketknife. This small folder is also very light light at just over 2oz. As with the Mini Spitfire, the Rush is completely USA made – these are sure to sell thru fast so grab one HERE at KnifeCenter. I am very excited to announce the partnering of the Hawke Knife Brand with Knife Center of the Internet! They carry the best products and it is an honor to be counted as one of their newest brands. The Knife Center demands the highest standards if one wants to be considered worthy of their outstanding reputation and I’ll tell you; my new Mykel Hawke Brand delivers! All Mykel Hawke brand designs originate with my experience of 30 years of Military & Special Forces Combat experience from the lowest enlisted rank, to the commanding officer rank and my 20+ years of teaching and doing extreme survival all over the world. I bring a lot of education with my Master’s degree, a lot of smarts with my 7 languages and a lot of martial art with my multiple black belt degrees. All this means is that a lot of hard earned experience and real dirt-time skills go into every Hawke design. We have a great many new products coming that are sure to change the industry standards for many years to come. A sincere thanks to Knife Center and a special thanks to you who live by the blade! Columbia River Knife and Tool’s 2720 Chogan T-Hawk is a very impressive and very functional Tactical Tomahawk. 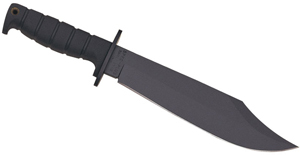 Here at KnifeCenter, we are all big fans of the sturdy grip the glass reinforced nylon EDN handle offers. This Ryan Johnson designed tomahawk is one of many new CRKT’s 2013 offerings that were unveiled at this year’s SHOT show (Shooting Hunting and Outdoor Trade Show). Whether you need a tool for breaching, extraction, camping, etc., the 2720 Chogan T-Hawk will surely fit the bill. The full–tang construction gives this tomahawk a very solid and sturdy feel. The head is made of a single piece of black powder coated SK5 Carbon Steel and sports a hammer end for additional utility. The Chogan T-Hawk also comes with a Molle-equiped Kydex sheath that slips over the head. These are sure to go fast – get yours here at KnifeCenter.